We’d love your help. Let us know what’s wrong with this preview of The Rescue by Kim Cano. When a basset hound named Rory survives the animal control gas chamber and becomes an internet celebrity, he attracts the attention of Anita, a just-dumped-by-her-boyfriend, luckless burger flipper, who travels cross country to adopt him. Spurred by an online group called Animal Warriors, Anita then embarks on a mission to improve animal rights. Along the way, Rory brings A When a basset hound named Rory survives the animal control gas chamber and becomes an internet celebrity, he attracts the attention of Anita, a just-dumped-by-her-boyfriend, luckless burger flipper, who travels cross country to adopt him. Spurred by an online group called Animal Warriors, Anita then embarks on a mission to improve animal rights. Along the way, Rory brings Anita true love and financial success through a chance encounter with America’s 1%, proving her spontaneous rescue of Rory was the best decision of her life. To ask other readers questions about The Rescue, please sign up. I love a story where there's an underdog. In this case it's an actual dog and his mom, Anita, who adopted him. This book shows how even one person can make a difference, and that sometimes the best things in life are unplanned. An enjoyable read and at 39 pages a nice length. It can be read on a lunch break. Would recommend it to any animal lover. Who can turn down a story about a sweet Basset Hound? It was a touching story of Rory, the dog who survived being put down. His life changed when he was adopted by a loving and caring woman. A short but sweet story for all dog lovers! Kim Cano is the author of four women's fiction novels: A Widow Redefined, On The Inside, Eighty and Out, and His Secret Life. Kim has also written a short story collection called For Animal Lovers. 10% of the sale price of that book is donated to the ASPCA® to help homeless pets. 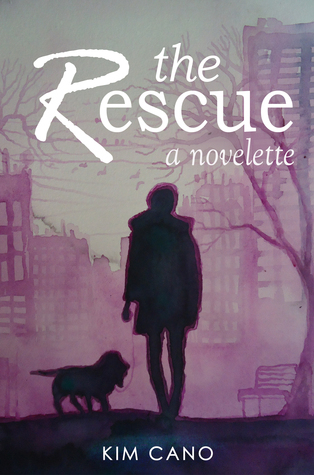 Kim's novelette, The Rescue, is available for free on her website.